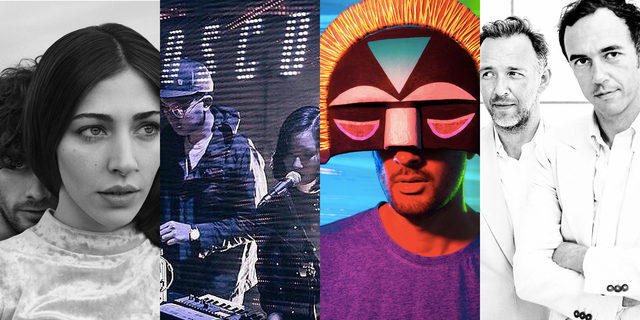 Aside from their eclectic selection of music acts, Neon Lights Festival will also continue the tradition of injecting a well-rounded and exciting list of artists that will make up the two-day event's arts programme. Taking place over four separate stages, this year's edition will see the return of last year's two main arts stages: Club Minky and Easy Street. And now, the organizers behind Neon Lights have conceptualized two new stages alongside one immersive initiative that'll cover the entire festival. The Rocking Horse, a stage dedicated to spoken word and the literary arts, will feature a special set by singer-songwriter — and Bandwagon Nights alumni Shak'thiya — along with a set by underground electronic label Darker Than Wax. Celebrated poet Marc Nair was placed in-charge of the selection of speakers and performers, including poetry slam champions Stephanie Dogfoot and Shivram Gopinath. The Nest is a stage curated by the former artistic director of The Substation, Noor Effendy Ibrahim, and is cited as "a glorious carnival of alternative Singapore culture for everybody's participation." The Nest will serve as a public extension of the underground DIY cultures that have pervaded the popular arts space over the years, shining a light on the various scenes through a series of lectures titled Scene Conversations by NIL, which will also feature special guest appearances and a set of turntable performances. This will be followed by performances by The Scene Kids, who will bring their "punk theatre show" Holding The Fort to the festival, and drum and percussion ensemble Nadi Singapura. While The Rocking Horse and The Nest will have distinct stages, Neon Nooks will instead be an all-encompassing experience that'll include an immersive digital mapping and sound installation by Syndicate members Brandon Tay and Safuan Johari, and as with every arts festival, there will be a roving act in the form of New Stream Brass Band, with their patented fusion of jazz, hip-hop and Latin music. Club Minky will bring back a line-up of circus, comedy and cabaret acts, while Easy Street — basically the place to be for all things street music — will feature a characteristically diverse list of musicians that include acclaimed beatboxer Dharni, Singaporean collective Dancehall Nation with DJ Jean Reiki, RAH & Senja , Lion Steppaz Sound, FZPZ and Scorcher Hi-Fi, topped off by main Neon Lights acts Gold Panda (26 Nov) and The Mad Professor (27 Nov). Neon Lights Festival will be taking place on November 26th and 27th at Fort Canning Park, featuring Sigur Ros, Yuna, Foals and more. Tickets available here.